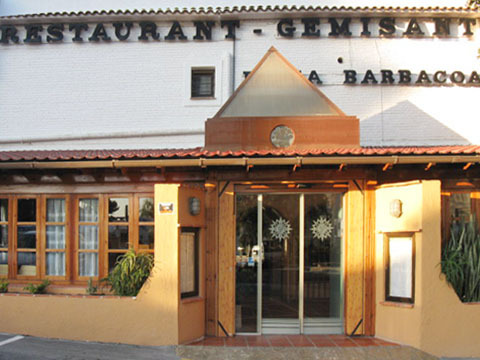 At the Gemisant Restaurant the service is friendly, quick and Spanish, English, French and German are spoken. 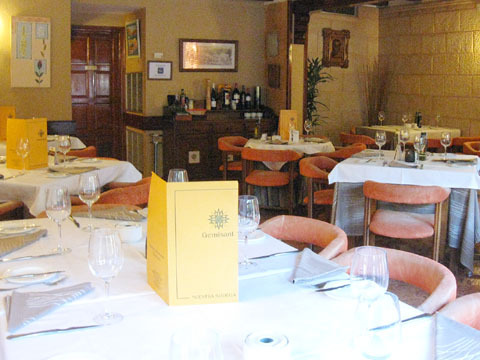 We are busy for dinner most evenings, so you are advised to pre-book a table even during the Winter. 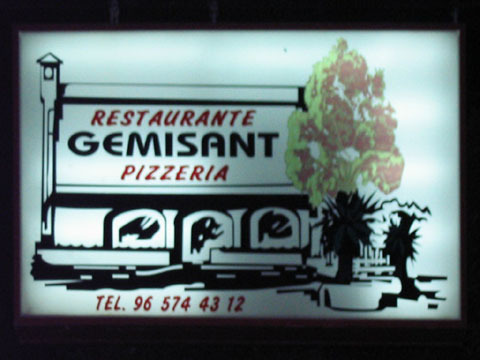 The Gemisant "Menús Recomendados" are extremely good value for money (Click for details). 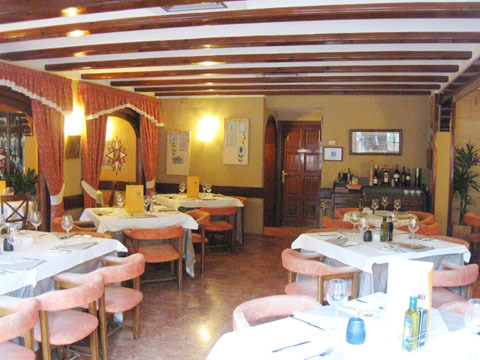 We also provide an extensive "a la carte" range of dishes plus some excellent wines. 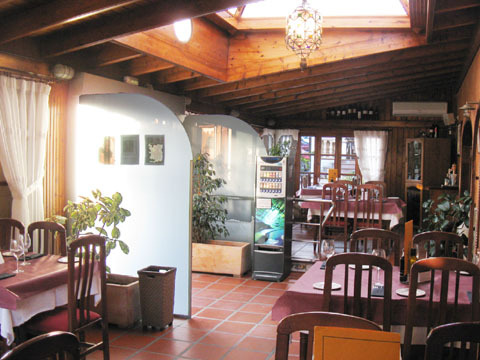 During the summer, the main dining room is fully air conditioned or you can eat on one of the shady terraces. There is an open fire place for winter evenings. 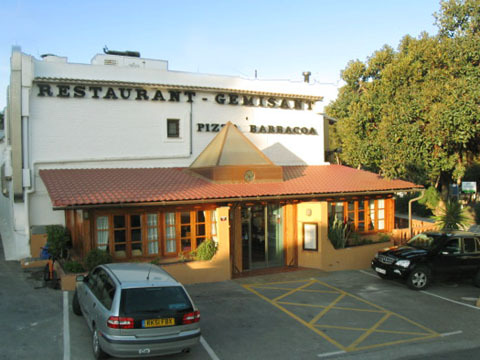 The Gemisant (pronounced "Hemisant") is one of the largest in Moraira with 100 places inside, another 30 in an annexed covered terrace and 120 on an open terrace. The building is heated and has air conditioning, making a pleasant, comfortable ambiance throughout the year. 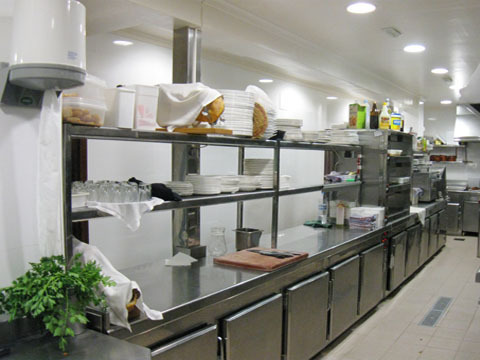 The restaurant is run by Juan Carrió and is part of the Canór Group. 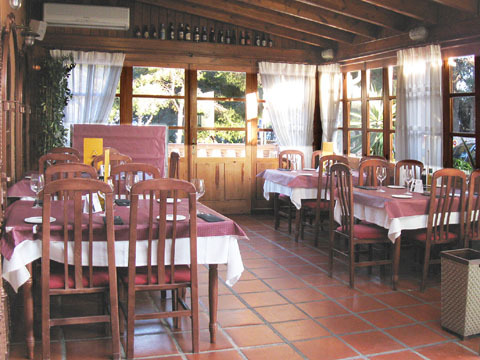 The group comprises the Refugio Restaurant & Cafeteria Senieta in Moraira village and the Salon Canor in Teulada - for weddings, first-communions and other functions. The Gemisant Cuisine is "International". 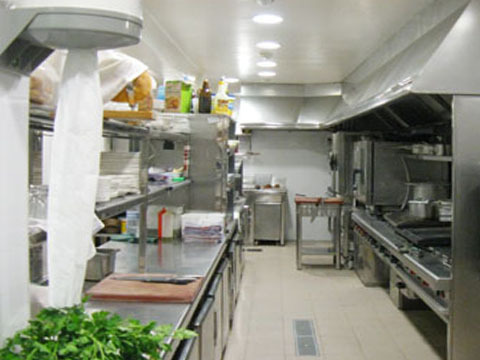 Additionally there is an extensive range of pizzas and pastas. Any items may be prepared for "Takeaway" - this is worth remembering if you have a late flight as we usually serve takeaway until at least 10:30. However, you should always telephone your takeaway order beforehand if it is late. It might be a good idea to print the list of takeaway suggestions in case you are late and you, never know, you might need it anyway. Click for suggested takeaway items and prices. 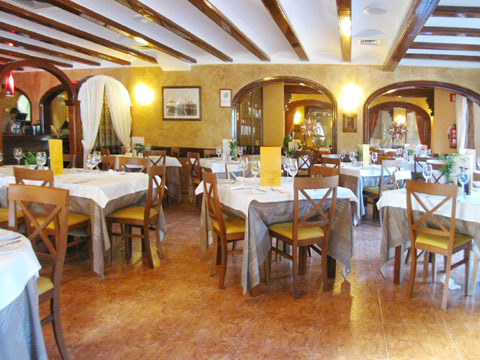 NB: The prices and menus were updated May 2014 and IVA (10%) IS INCLUDED. You can "mix and match" and the highest price is charged plus a supplement of 0.60. 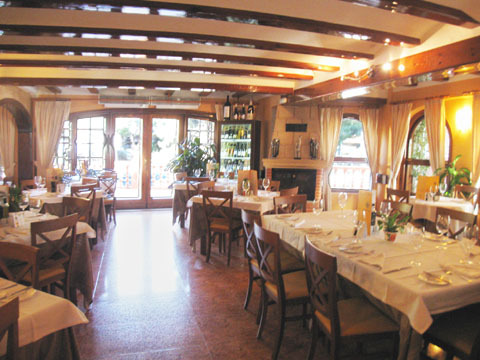 Main Courses are served with Vegetables of the Day. 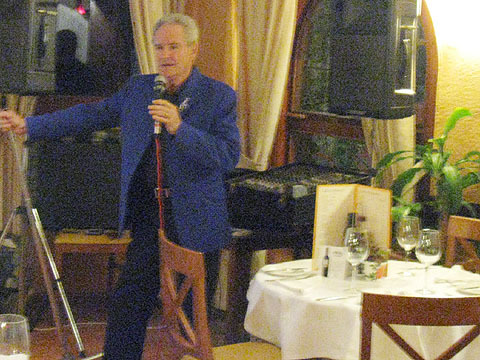 All menus included bread, wine and dessert. 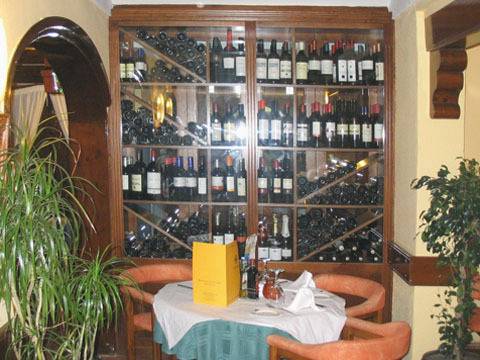 SPECIAL: A FREE bottle of wine if you order €30.00 to takeaway. Special Salad - Lettuce, Tomato, Sweet Corn, Carrot, Peppers, Cheese, Tuna and Tartar Sauce. Cheese Salad - Lettuce, Tomato and Various Cheeses. Chicken Salad - Lettuce, Chicken, Pineapple, Fruit, Sweet Corn and Pink Sauce. Tropical Salad - Lettuce, Tomato, Green Pepper, Fruit and Mustard Sauce. Gemisant Salad - Shrimps, Cockles, Sweet Corn, Green Pepper and Mustard Sauce. Capri Salad - Mozzarella, Tomatoes, Oregon, Basil and capers. Margarita - Tomato and Cheese. Simpsons - Tomato, Cheese, Mushrooms, Red Pepper, Bacon and Garlic. York - Tomato, Cheese and Ham. Reina - Tomato, Cheese, Aubergine, Zucchini, Asparagus and Peppers. Popeye - Tomato, Cheese, Spinach and Bacon. Moraira - Tomato, Cheese and Salami. Romana - Tomato, Cheese, Mushrooms and Ham. Vegetarian - Tomato, Cheese, Onion, Peppers and Artichokes. Haiti - Tomato, Cheese, Banana and Pineapple. Napoli - Tomato, Cheese, Anchovies and Olives. Caprichosa - Tomato, Cheese, Bacon and Onion. Hawai - Tomato, Cheese, Pineapple and Ham. Isa - Tomato, Cheese, Ham and Tuna. Gemma - Tomato, Cheese, Mushrooms, Fried Egg and Ham. Catalana - Tomato, Cheese, Fried Egg and Serrano Ham. 4 Seasons - Tomato, Cheese, Mushrooms, Ham, Tuna and Anchovies. Andaluz - Tomato, Cheese, Bacon, Sausage and Pepperoni. De la casa - Tomato, Cheese, Anchovies, Tuna, Mussels, Garlic and Shrimps. 4 Cheeses - Tomato and Cheese. Calzone - Tomato, Cheese, Ham, Salmon, Shrimps, Sausage, Onion and Bacon. Moraira-Info.com from VillaServers. 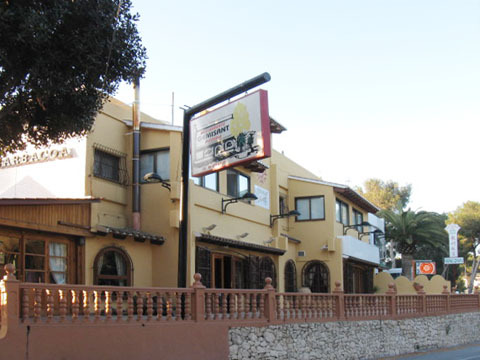 Advertising and Information portal about the Moraira area. 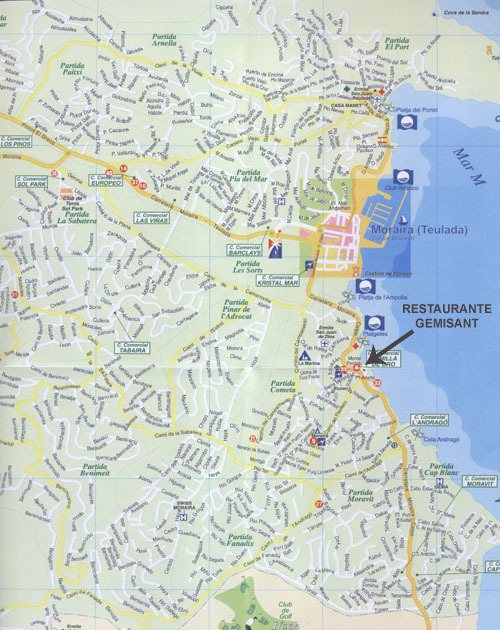 Probably the most extensive guide to the Moraira area. 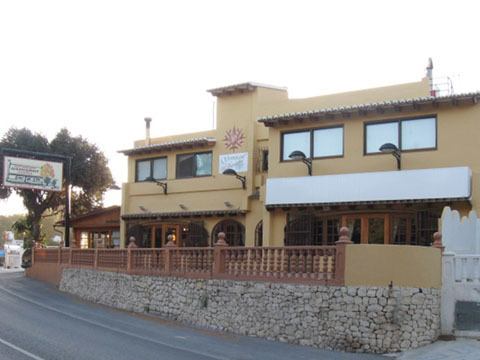 The Moraira Tourist Office is located in Casa de la Por at the entrance to Moraira and the Moraira/Teulada Road close to the Barclay Centre. 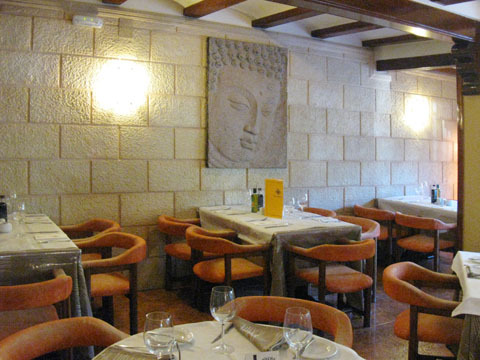 Here you will find virtually everything you need to know about Moraira. The Moraira Tourist Office Website provides details of all current local events but is only in Spanish. Moraira is part of the municipality of Teulada and the Town hall is in Teulada. The Teulada-Moraira Town Hall Website provides information for Moraira residents and property owners and is in English, French, German and Valenciano. Everything Moraira - A nice little info. 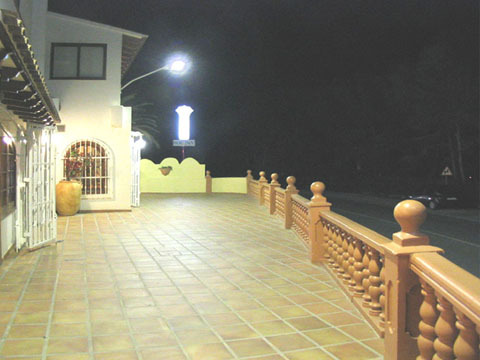 site dedicated to Moraira. 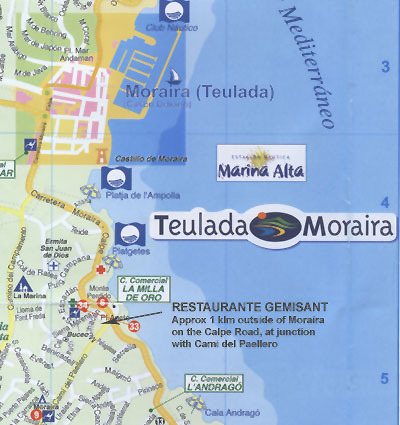 Teulada Moraira Info - Mainly advertising. Moraira Fiestas - Information about the local Moraira Fiestas. Alicante-Spain.com - Moraira travel tips. 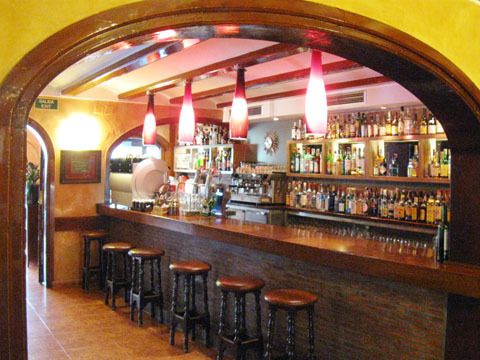 Thompson Travel - Holidays in Moraira. 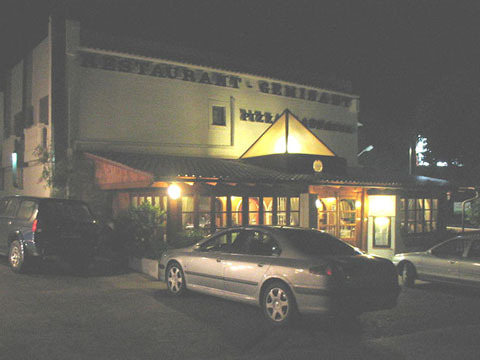 VillaSpain.com - More Moraira info. 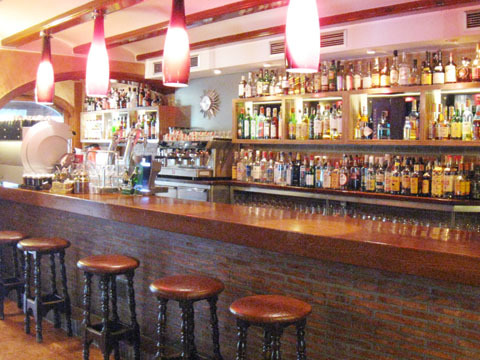 ThinkSpain.com - More Moraira Info.